Cape Killerton track junction. The Japanese fell back to their next position; but after crossing the Owen Stanley Ranges and fighting several intense battles, the Australians were sick with malaria and other tropical diseases and under strength. The 7th Division was reinforced by a regiment of Americans which moved around the Japanese and established a road-block, known as Huggin’s Road Block. The 16th Brigade was relieved by Brigadier Porter’s 30th Brigade consisting of the 49th and 55/53rd Battalions and later the 2/7th Cavalry Regiment (without vehicles) and the 36th Battalion. These units conducted a series of determined attacks, but without heavier support could not eject the Japanese from their bunkers. The problem was that when the Allies by-passed the Japanese positions, the Japanese did not withdraw and it became extremely difficult to supply the Australian positions which could only be reached by circuitous routes through the swamp. Gradually the Allied force north of the Owen Stanleys was built up. Airfields were built on the flat areas around Dobodura and Popondetta, whilst Major General Vasey’s headquarters was at Soputa. The headquarters of 1st Australian Corps under Lieutenant-General E.F Herring, was established at Popondetta, before later moving to Dobodura. After the campaign, the airfields in this area would be used to support the offensives of 1943. 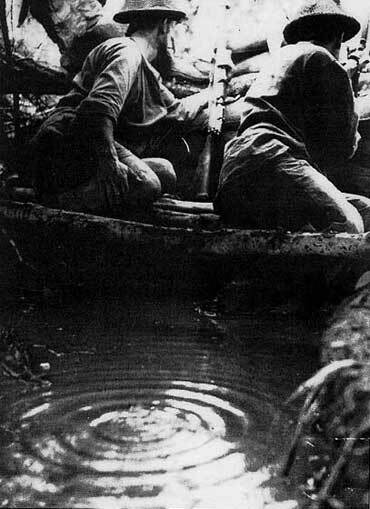 Reliant on air transport, the troops fighting at Sanananda were always short of supplies and ammunition. On 22 December the Australians at Sanananda were further reinforced by the 21st Brigade (each battalion down to less than company strength) and the 39th Battalion; but the Japanese positions could not be eliminated. Porter’s 30th Brigade engaged the main Japanese position with Dougherty’s 21st Brigade at the road-block. 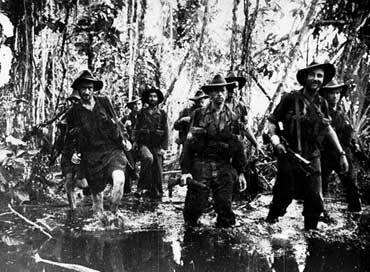 By this time the largest number of troops on the Sanananda Track were from militia units rather than the Australian Imperial Force (AIF). The militia units bravely threw themselves into attacks against well-concealed Japanese positions and lost heavily. The 55/53rd Battalion casualties alone numbered 264 and when the number of evacuations due to sickness are added, the total casualties were 542, which was greater than the Battalion strength at the beginning of the campaign. In an effort to break the stalemate, the 18th Brigade brought its tanks and remnant troops around from Buna; but it too failed to make progress. However, unknown to the Australians the Japanese, who were sick and starving, had been ordered to withdraw. The 18th Brigade and a new American Regiment renewed the attack. In a flanking operation to the north, the 18th Brigade reached the sea and all Japanese resistance ceased on 22 January 1943. The Australian units in this sector sustained over 1,400 battle casualties and the Americans 700. Nearly 2,000 Japanese were buried. 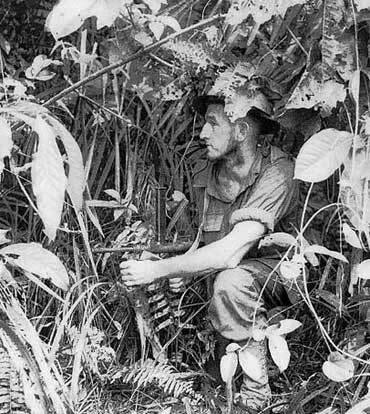 The victory at Sanananda marked the end of a six month Papuan campaign, during which the Japanese employed about 20,000 troops of whom more than 13,000 died.